This article looks at the reasons behind the ‘rise of UKIP’ since 2013 and applies it to our data on young people and the EU referendum under three headings: employment and education; austerity; and political language. The findings show a divide in support between those who left school at 17 or 18 and those still in education and between those who read the Guardian and those who ready the Daily Mail. 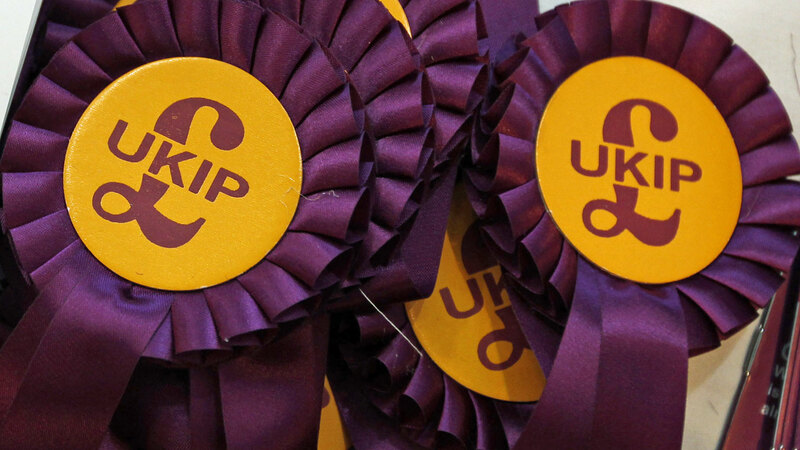 Since early 2013 the United Kingdom Independence Party (UKIP) has been gaining support, most recently shown by seven seats won at the National Assembly for Wales. Matthew Goodwin and Caitlin Milazzo’s book on UKIP’s origins shows that since it was created in 1993, the party has used a hands-on, grass-roots approach to gain support in areas where populations are increasingly feeling unrepresented by the main political parties. Largely due to the combination of economic and political climate and Farage’s charisma, adept campaign style and direct oratory, the party is increasing in popularity. However, with the EU at front and centre stage of UK media coverage, is referendum causing a ‘false peak’ in favour of UKIP or are they here to stay? And if so, will their current unpopularity among young people thaw as it has among older generations, or are generation Y immune to the barrage of Farage? In-line with our findings showing young people are more in favour of EU membership, research from 2014 shows UKIP appeals mostly to older people. According to the same research these are most commonly male, working-class, former Conservatives who left school at 16, earn under £20,000 a year and feel disillusioned with the Tory government, particularly its relationship with the EU. Conversely we know high levels of support for Britain’s EU membership among young people translates into low levels of support for UKIP. In 2015 only 8% of 18 to 24 year olds voted UKIP compared with 17% of those over 65. Some explanations around representation are shown in a poll of 18 to 24 year olds where 18% agree with the statement UKIP is more in tune with people like me than other political parties, compared with 39% of 40 to 59 year olds and 50% of those over 60. 54% of the same 18 to 24 year olds agreed that UKIP are a party of oddballs and extremists compared with 45% of those over 60. However, in 2015 while less than half (37%) of 18 to 24 year olds thought UKIP would fade from politics over the next ten years a similar percentage (35%) of those over 60 thought the same. Also while only 15% of 18 to 24 year olds agreed that UKIP leaders were more trustworthy than other party leaders, only 18% of those over 60 thought the same, showing only a marginal difference between the age groups. Finally, while we know young people are more tolerant of migrants, asylum seekers and refugees than their elders, one reason why they are more likely to vote remain, there could be a difference in opinion between young people at different stages of life and in different situations. 54% of 18 to 24 year olds view UKIP as a racist party compared with only 30% of those over 60, however, more recent research found 80% of students see UKIP as racist, substantially more than 18 to 24 year olds in general. Finally, support for UKIP among generation Y doubled in the space of a year according to a Guardian report out last March. So while the pattern of unpopularity among young people is fairly consistent anomalies exist in relation to educational status. To explore this further we split all our under 30s by the age they finished education and looked at their preference for Remain or Leave. The findings reveal support for leaving the EU is highest (27%) among those who left education at age 17 or 18, and therefore did not attend university and conversely support for remaining in the EU is highest (31%) amongst those still in education or a student. These findings adds to the argument that support for Brexit is closely linked with education or employment status among young people and consequently that this support is not necessarily age related but can also be explained by phase of life and situational factors. We will now explore austerity in relation to UKIP support as a guide to better understanding young people’s views on the EU. Eight years of recession and five years of austerity measures hitting the poorest hardest have deepened disenfranchisement, and the ‘squeeze’ caused by (New) Labour and delivered by the Conservatives since 2015 has caused older defectors from both right and left of centre parties to turn to the far right as an alternative. However, following this logic when looking at the unemployment rate for 16-24 year olds not in full-time education, currently 12% (more than double that of the population as a whole at 5%) a potential rise in young UKIP supporters seems more likely. Areas and populations still dealing with deindustrialisation, as always are hit hardest by recession, subsequent welfare reforms and a rapidly changing labour market. These ex-industrial areas on the peripheries of the UK, with the exception of Scotland, show the highest levels of UKIP support. The blame for this situation has been placed on the shoulders of Westminster elite and migrants or asylum seekers, perceived as a drain on jobs and welfare systems of the country. In this context it is unsurprising that the ex-industrial, deprived and ‘forgotten’ Welsh valleys shifted their favour to a party appearing to represent the working class in the devolved Assembly elections this month. Research undertaken by WISERD with under 18s living in a deprived area of South Wales revealed a similar feelings about the EU, migration and an elitist government. This implies austerity measures hitting the old and young hardest since 2008 have taken their toll on political views regardless of which end of the generational spectrum you sit, adding another strand to the argument for situational explanations of EU preference rather than solely age. Finally the language of UKIP political discourse is explored here. Despite being formed by Conservatives in 1993, today UKIP draws on supporters from the left and right of centre parties. Until the European Parliament Elections of 2014 UKIP was seen as a party of underdogs and its political language, most popularly used by Farage, lacking the formularised, impenetrable ‘politicalese’ used by mainly private school-educated politicians within the two main parties. Indeed according to Lawrence Richards editor of the Leveller the 7% of adults living in England who attended private schools make up one third of MPs, almost half of newspaper columnists, Lords, diplomats and senior civil servants, and over 70% of senior judges. It is possible to argue that UKIP narrative speaks to a working class while Labour narrative speaks about it. Taking this narrative approach and given that UKIP does well among those who describe themselves as right-wing, and read the Daily Mail we can hypothesise that those who read the Daily Mail are also more likely to support a Brexit. Bearing this in mind we looked at the newspaper readership of our under 30s in relation to their preference for remaining in or leaving the EU. The highest and most striking result was the nearly quarter (24%) of young people who read the Guardian and would also vote to remain. The next highest proportion was the 14% of young people who read the Daily Mail and would vote to leave the EU. This trend is the same among the general population in our data with 20% of Guardian readers supporting remain and 21% of Daily Mail readers supporting leave. While young people are less likely to read the Daily Mail (9%) than the general population (14%), these findings are still significant and add the final strand here to argument that the resounding support for remain we see among young people does not include every group and particularly those more likely to be disenfranchised, disillusioned and more right-leaning. Finally, based on this tentative exploration it is possible to hypothesis that as the effects of recession and subsequent disillusionment with political elites continues so will UKIP support. The result of the referendum on the 23rd of June will certainly play a part in the way UKIP is perceived but it is possible that, Brexit or not, support for this once one-issue party will continue to grow in areas that feel ‘forgotten’ by Britain’s ruling elites.